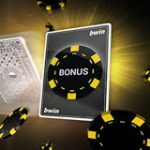 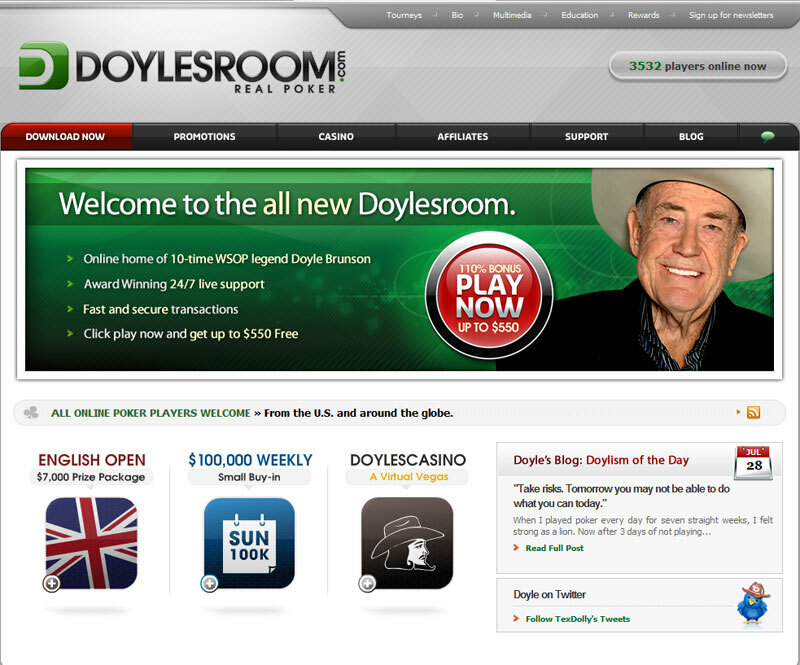 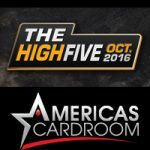 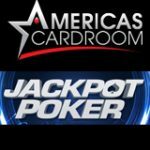 To set up your Doyles Room poker account click here to visit www.doylesroom.com and click on Play Now to set up your Doyles Poker account on Cake Network, Play Poker online at Doyle Brunson Poker. 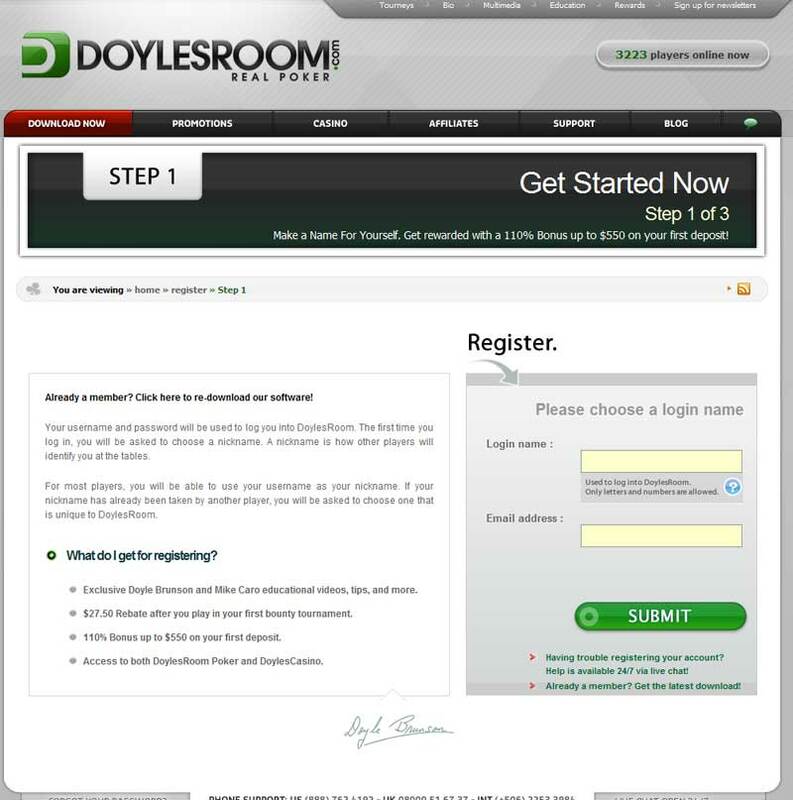 Step 1: Complete the two easy steps by choosing a Doyles room screen name and enter your email address and click Submit. 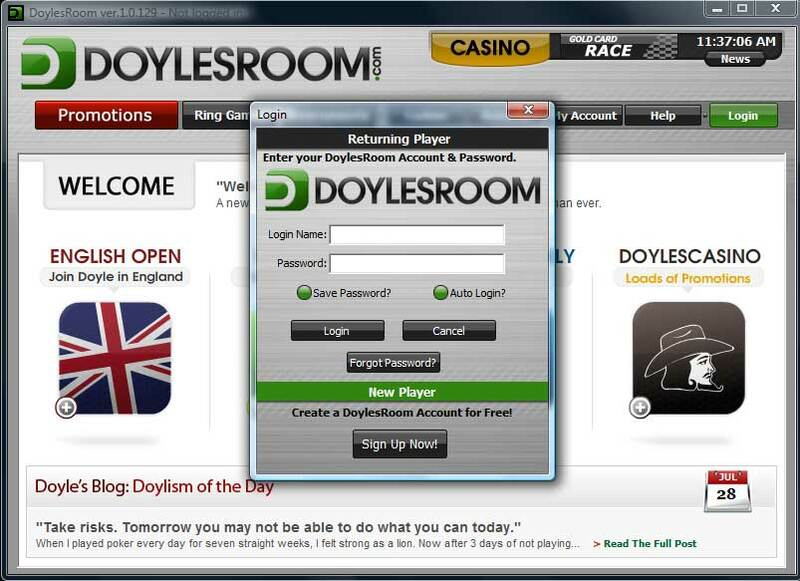 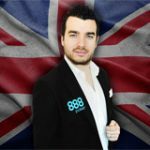 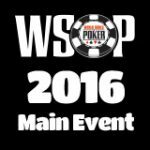 You are now ready to download Doyles Room Poker by following the simple download instructions. 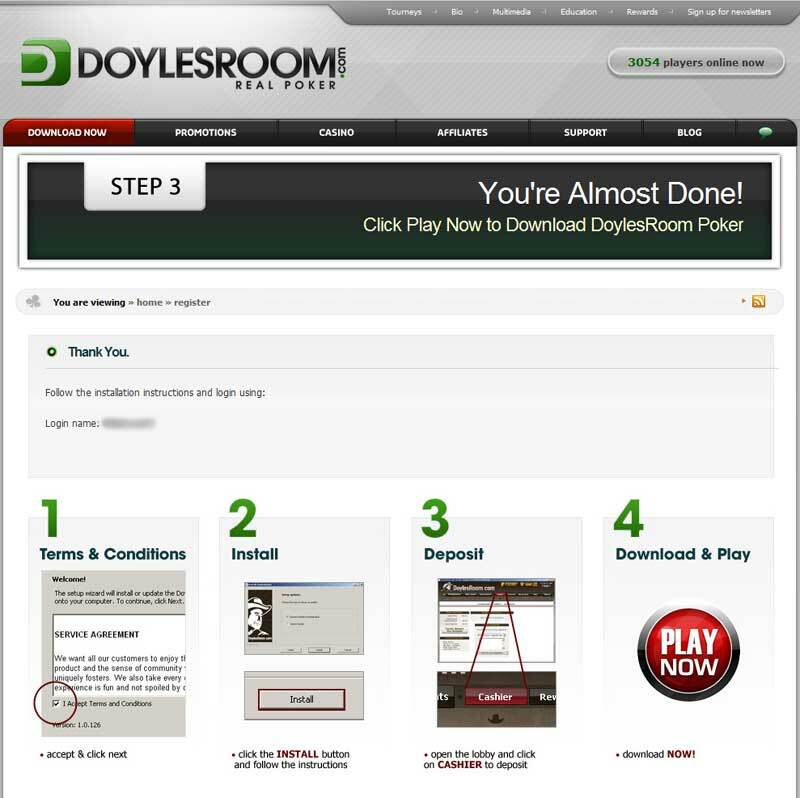 Step 1: Click on Download the Poker Client or Download Now on DoylesRoom website to begin downloading and installing the latest version. 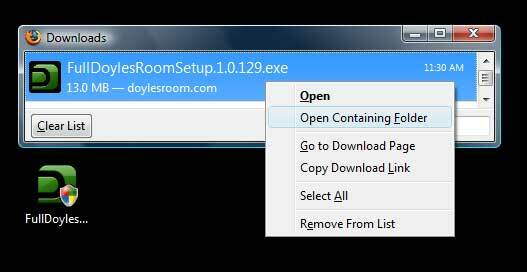 Save the drbclientinstall_cd.exe to your computer. 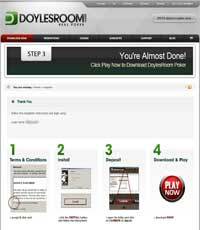 When the download completes double click on the drbclientinstall_cd file to begin installing Doyles Room. 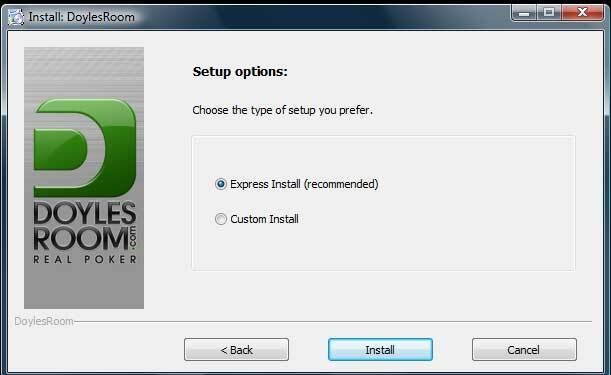 Step 3: Select which to install express or custom, express install is recommended. 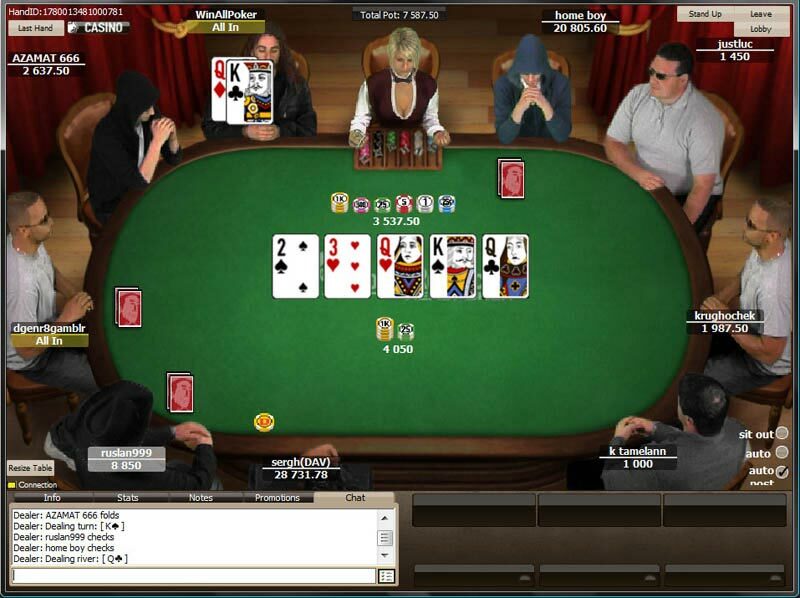 Next click on the install button. 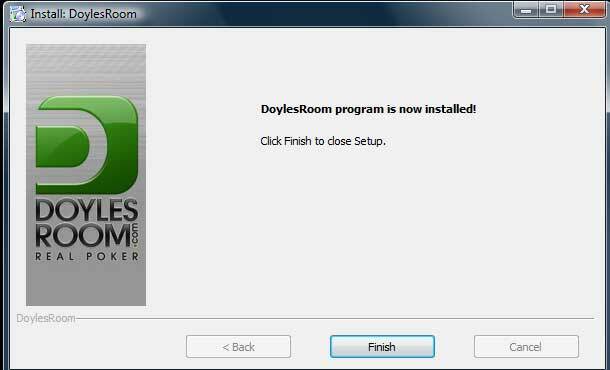 Step 4: Once the DoylesRoom program has completed click finish to close the installer and begin launching the DoyleRoom lobby. 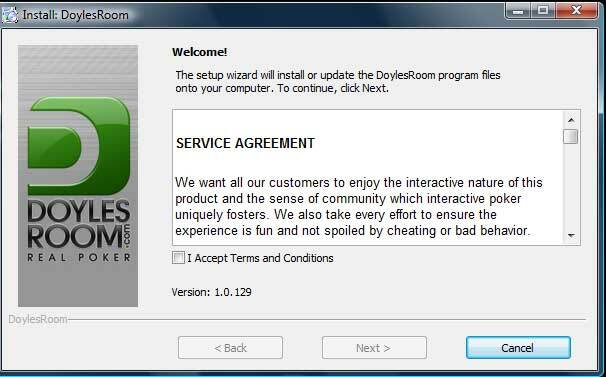 The software will now update to the latest Cake Network version before loading the Doyles Room lobby for the first time or whenever there is an update available Click Yes to confirm these updates. 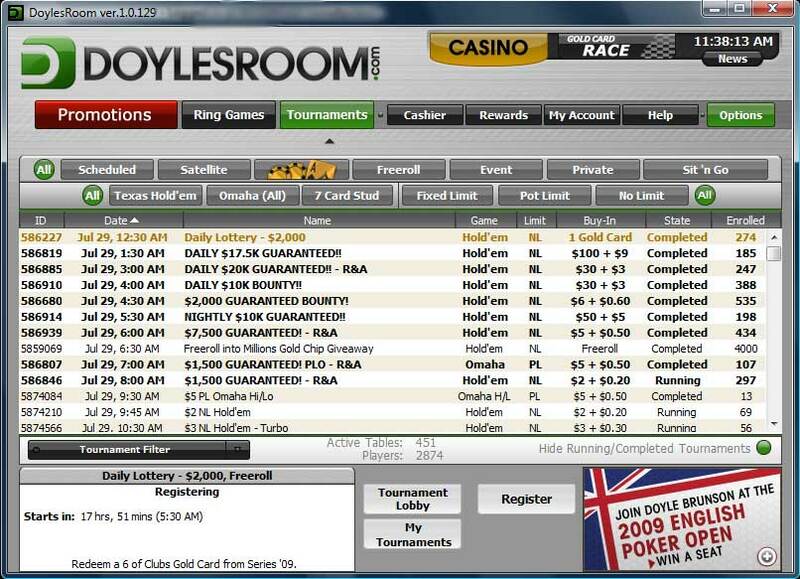 Once DoylesRoom updates are complete the lobby will load. 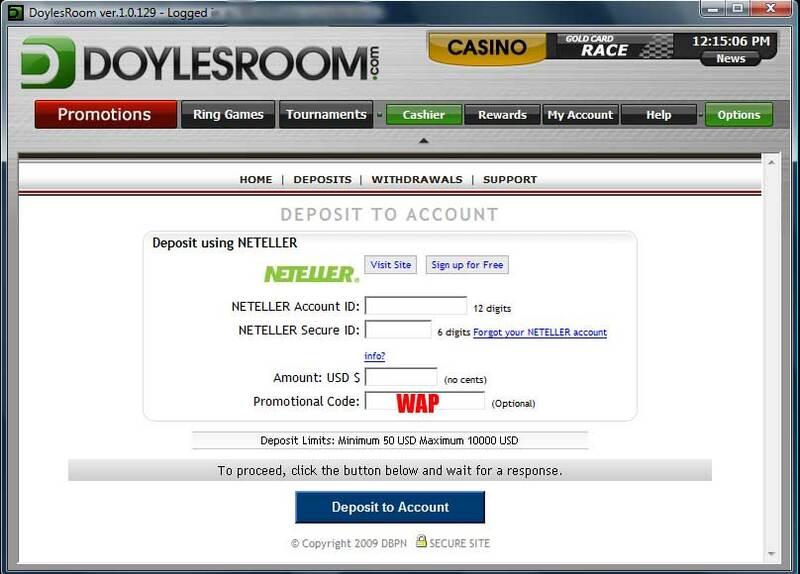 Minimum deposit at DoylesRoom is $30 when using a credit card or $50 using Neteller or Moneybookers. 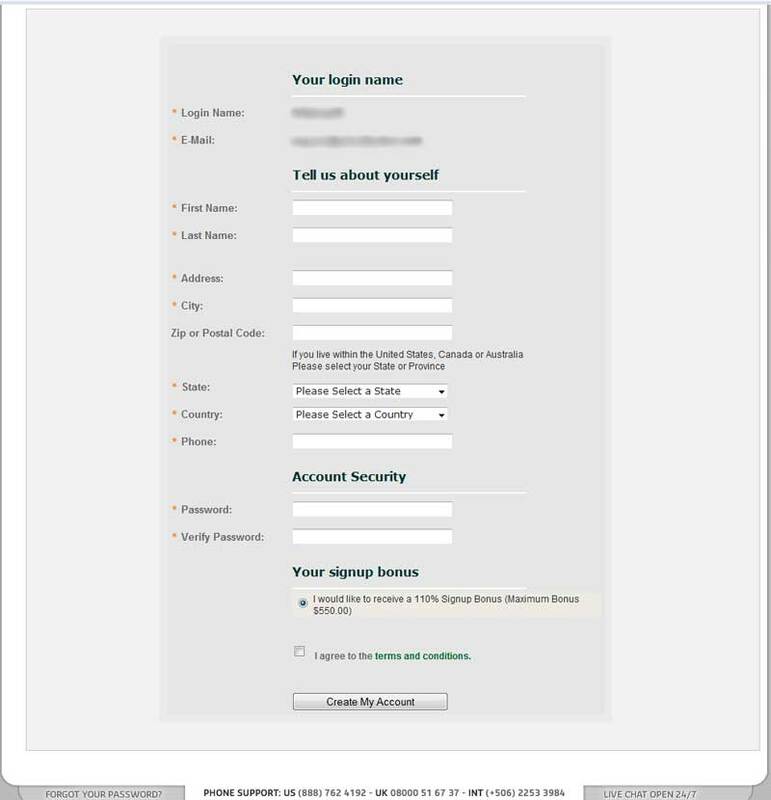 To make a deposit at Doyles Room login to the lobby then follow the instructions below. 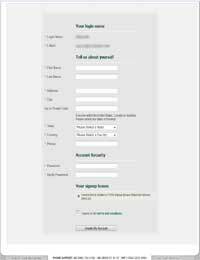 Step 2: You will see four options Home, deposit, withdrawals and help. 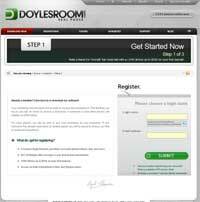 Select deposit to see the Doyles Room deposit options. 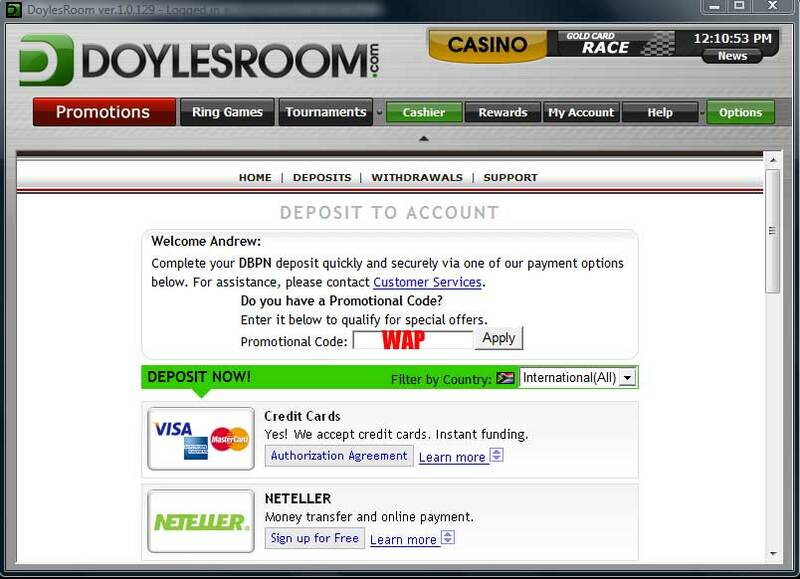 You can enter your doyles room promotional code : WAP at this stage or on your selected deposit method page.